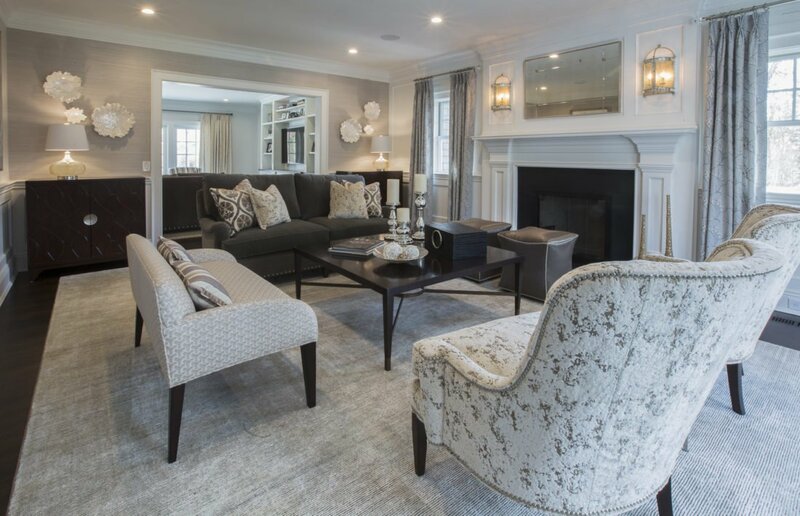 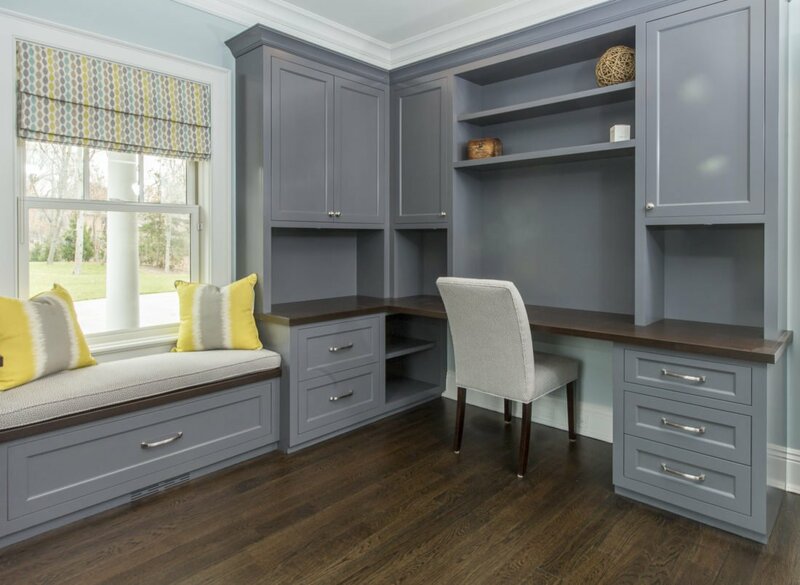 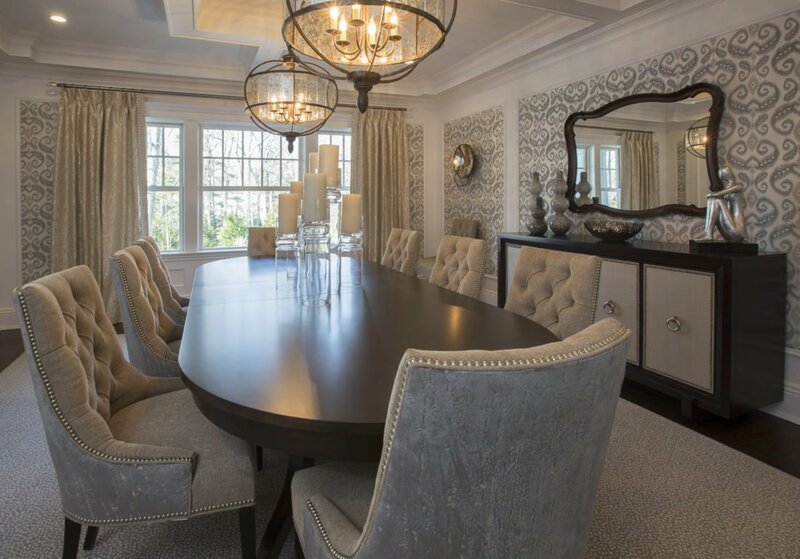 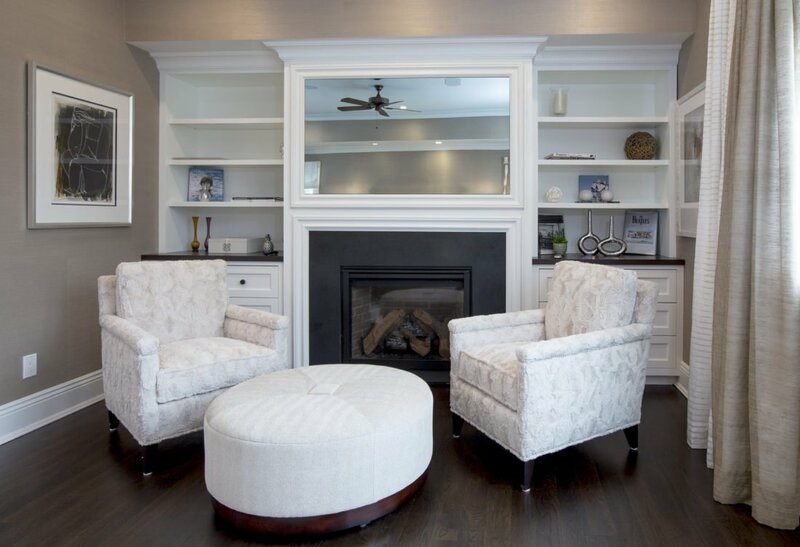 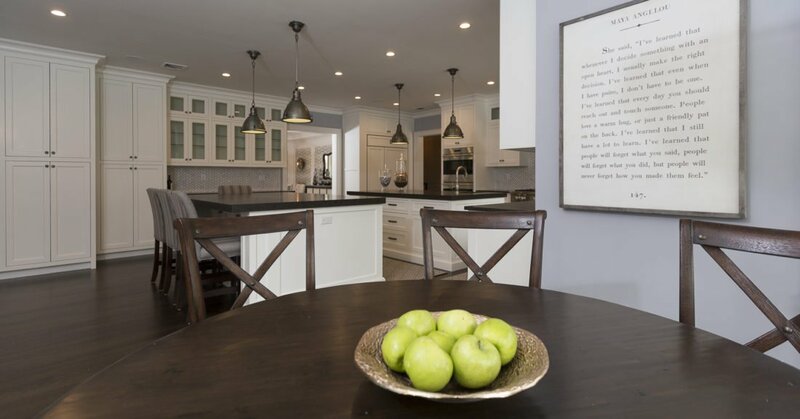 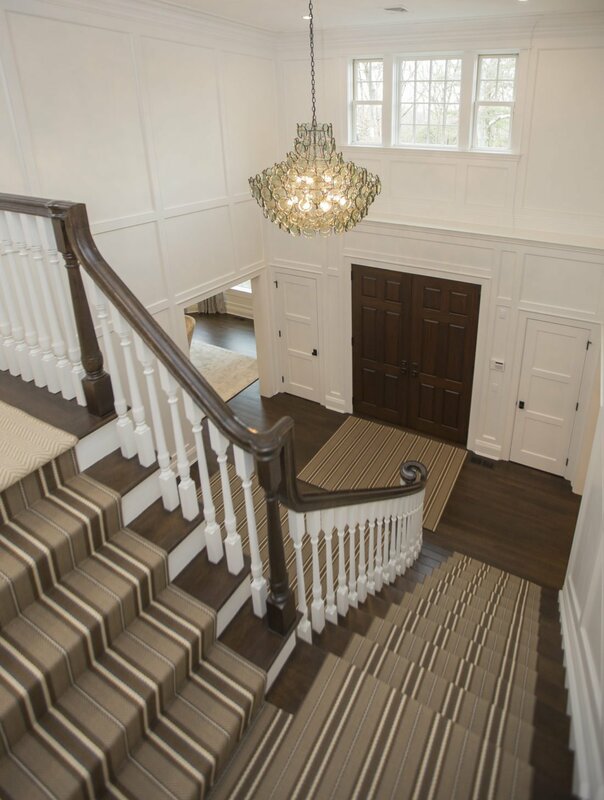 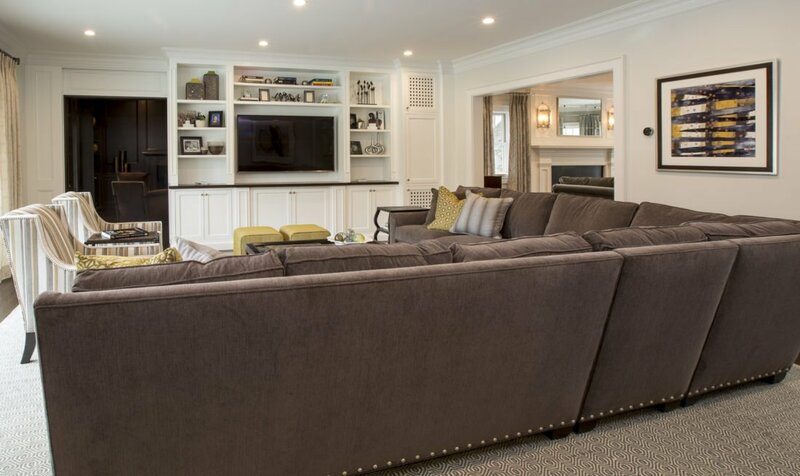 This Margali and Flynn custom home in the heart of Syosset welcomes you with a beautiful paneled entry with chandelier and striped runner … all working together to create a casual twist to an otherwise formal space. 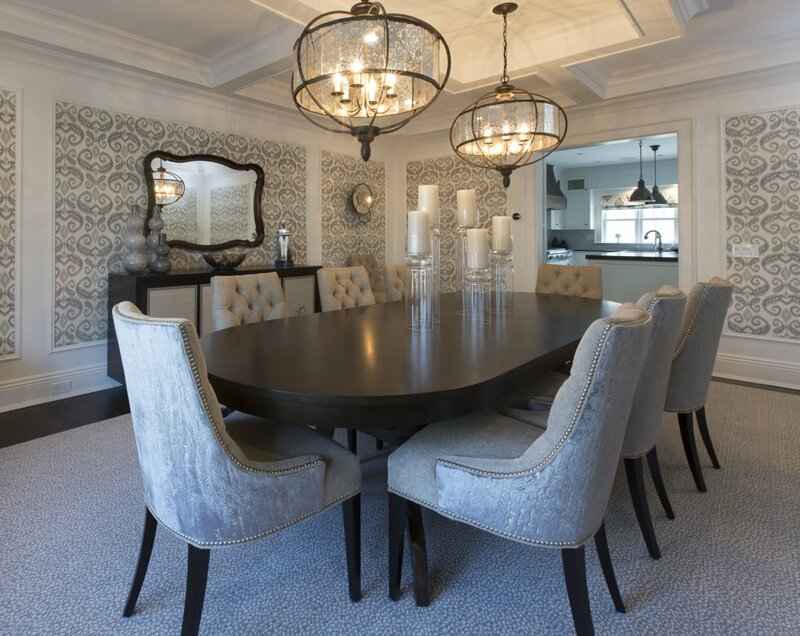 The dining room is highlighted by two Mercury pendant lights and two custom sconces which perfectly illuminate the beautiful Ikat Sisal wallpaper and custom dining table. 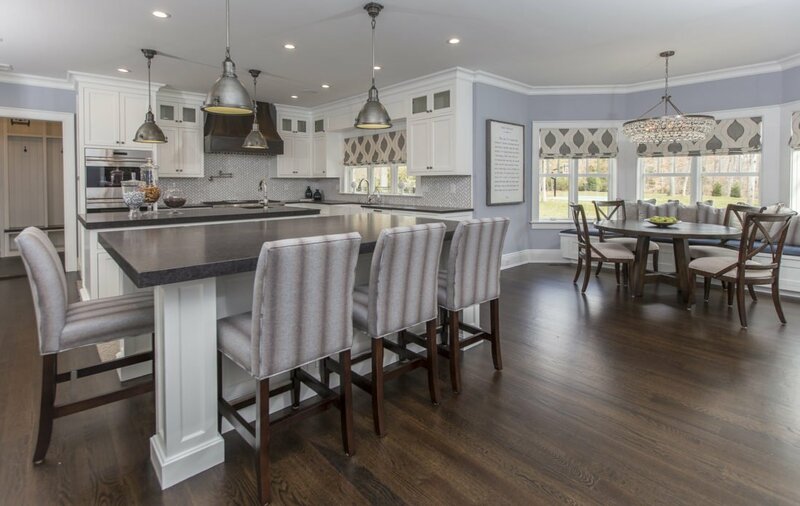 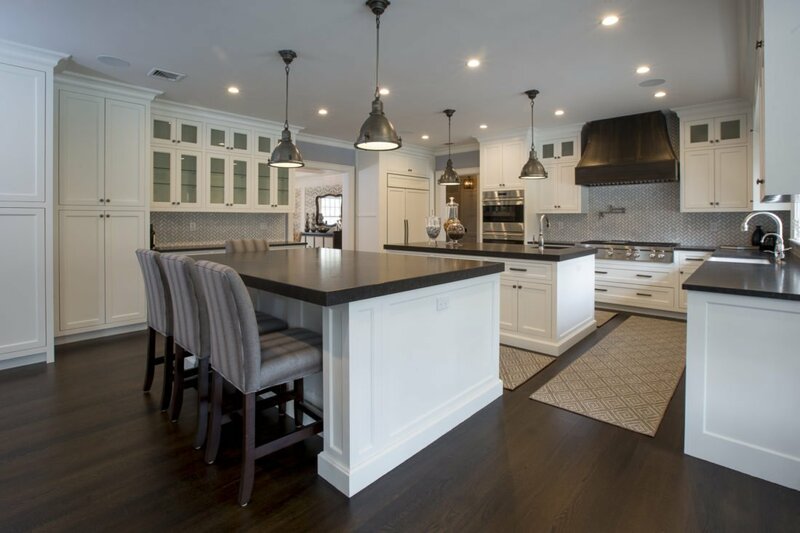 Adjacent, the Margali and Flynn kitchen boasts a with double island, perfect for entertaining and custom built banquette for family dining. 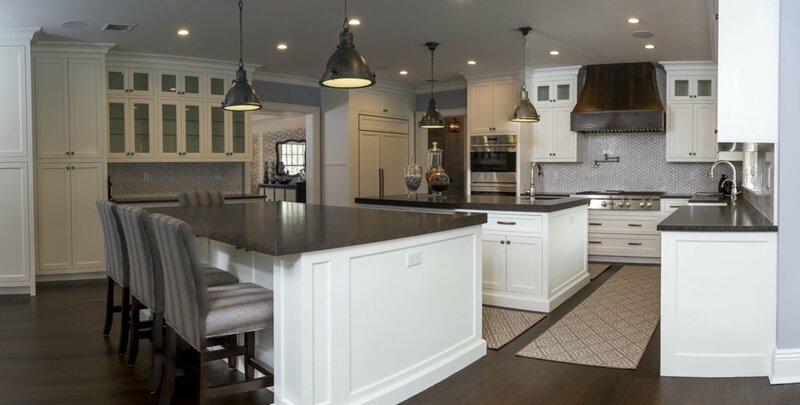 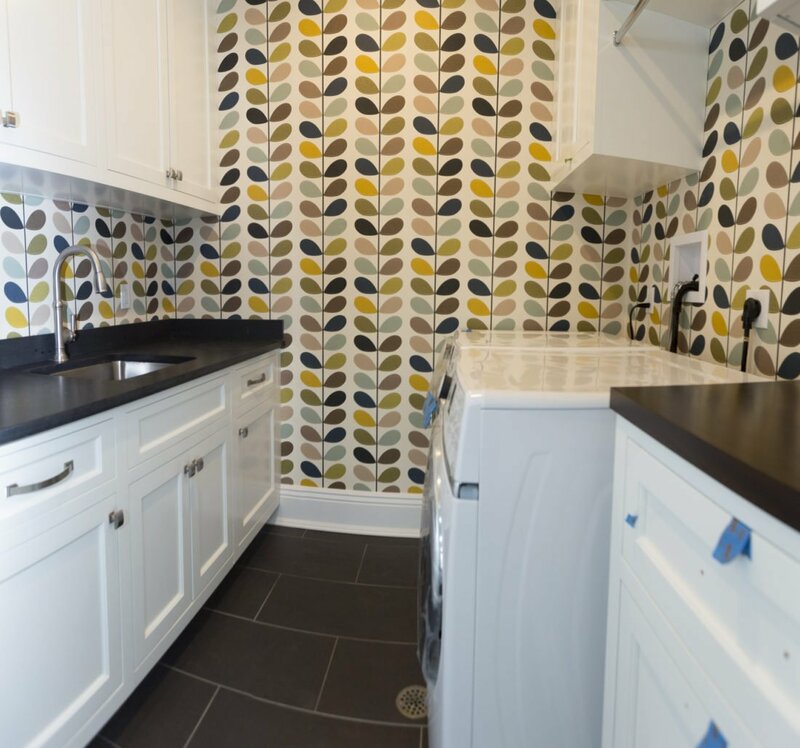 Beautiful antique brown marble countertops add richness and depth of color to the custom white kitchen cabinetry throughout. 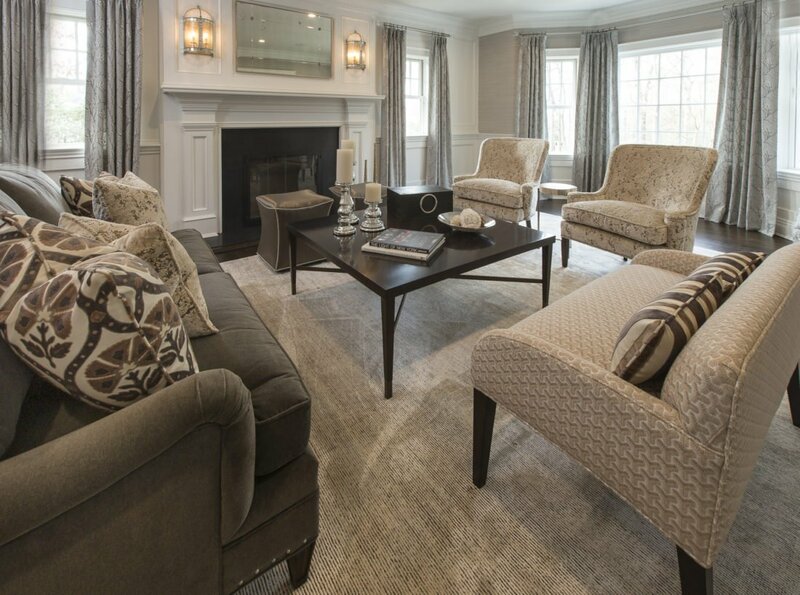 On the first floor is also a cozy family room and mahogany bar. 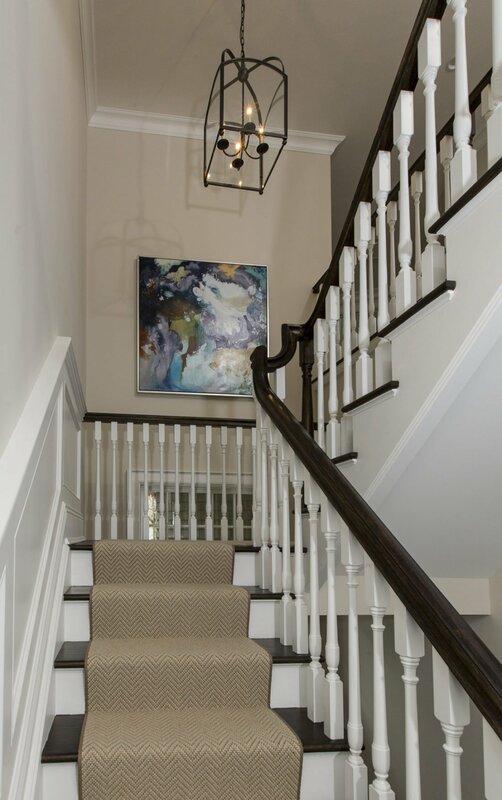 As you head upstairs through one of two staircases you feel a quite, calm – exemplified by the master suite with fireplace and wooden beige herringbone floor. 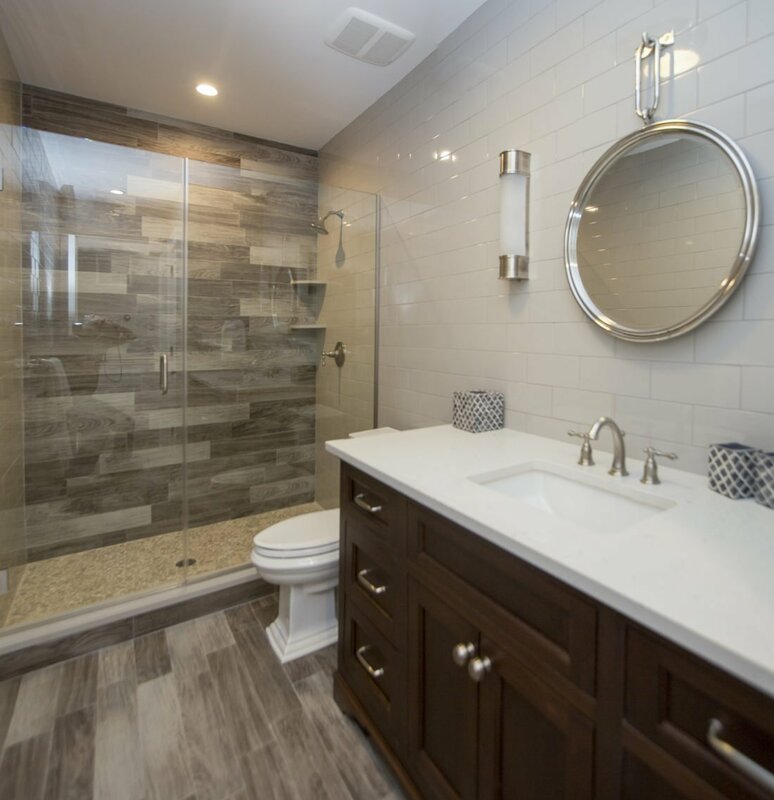 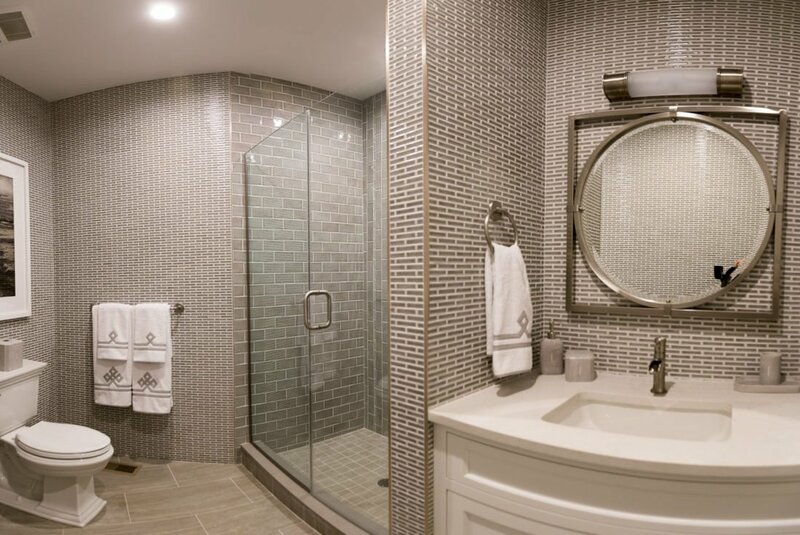 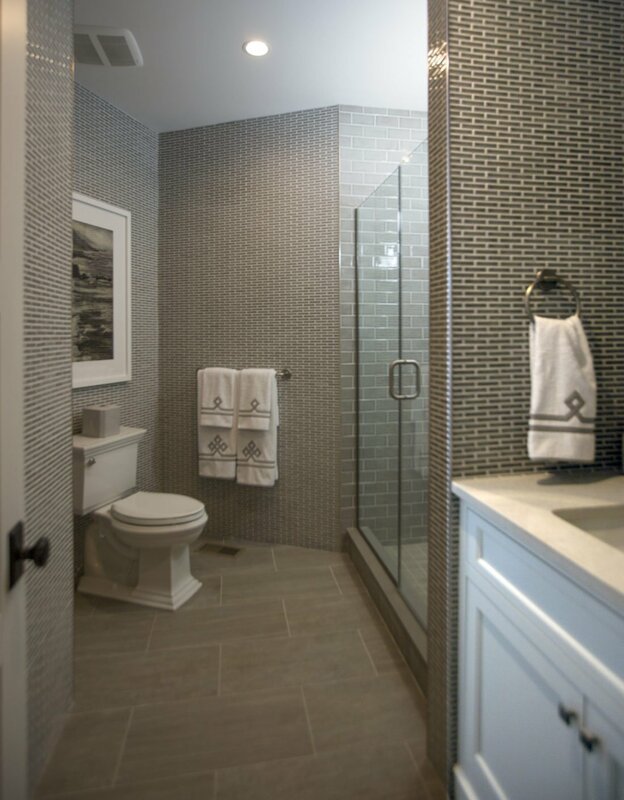 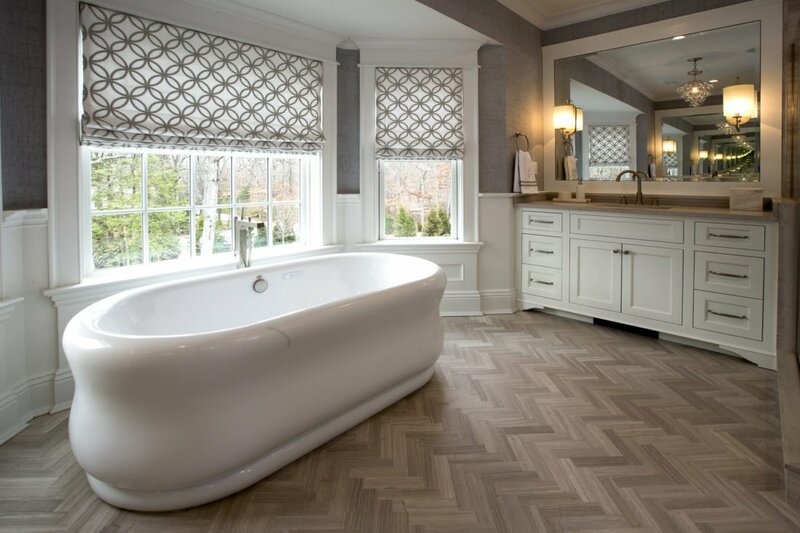 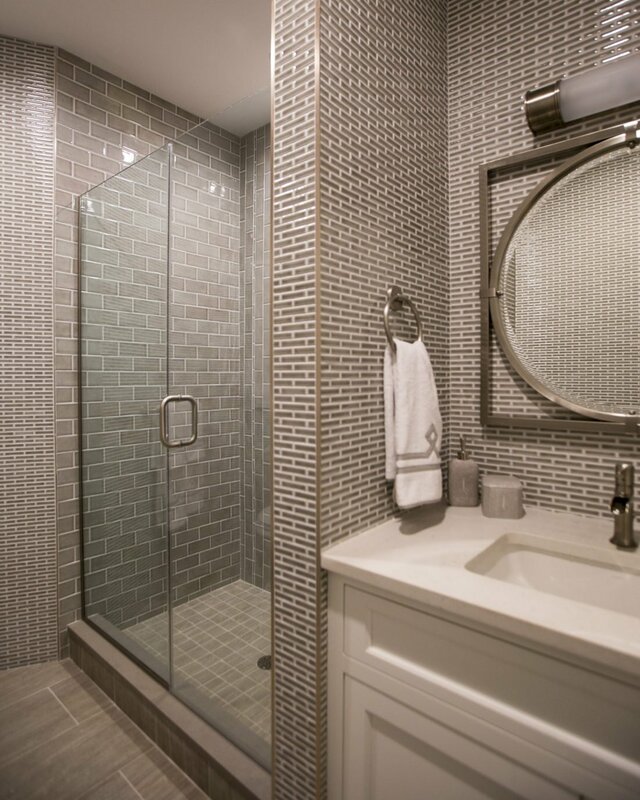 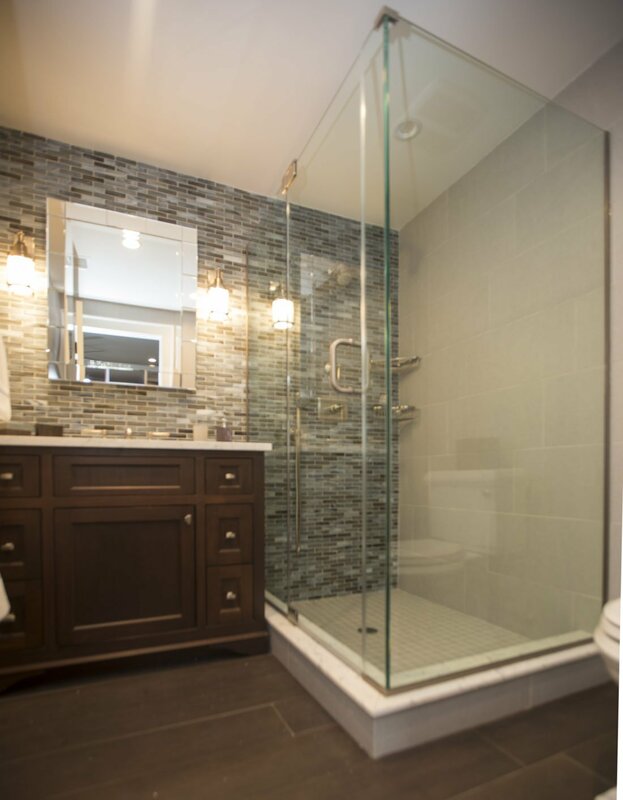 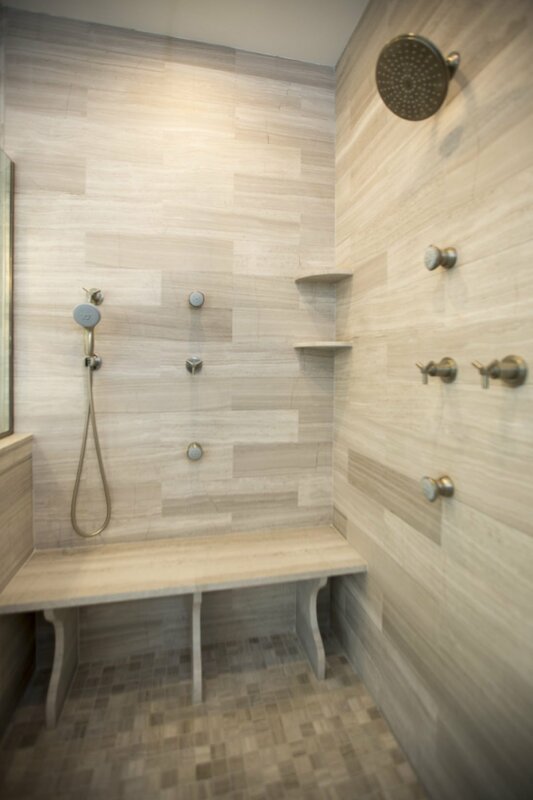 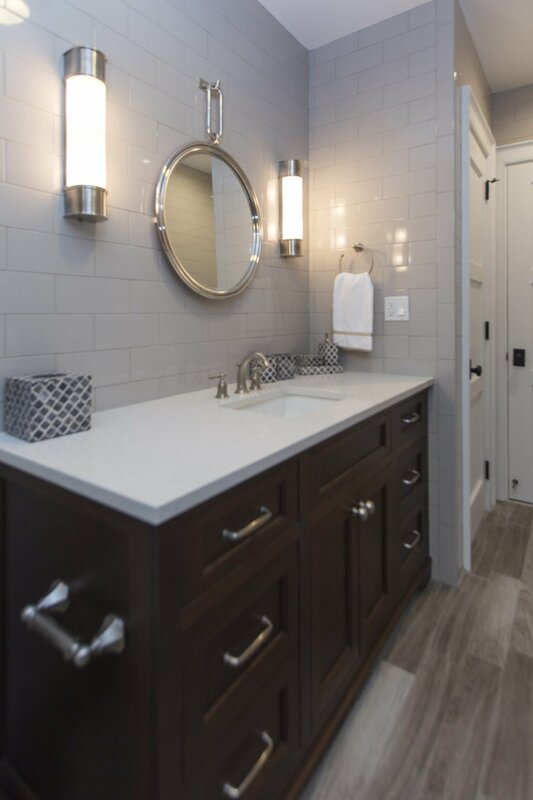 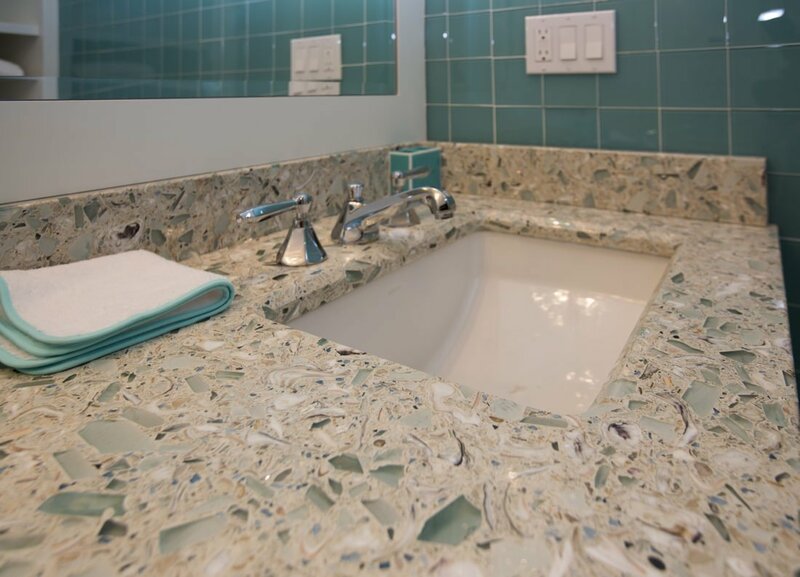 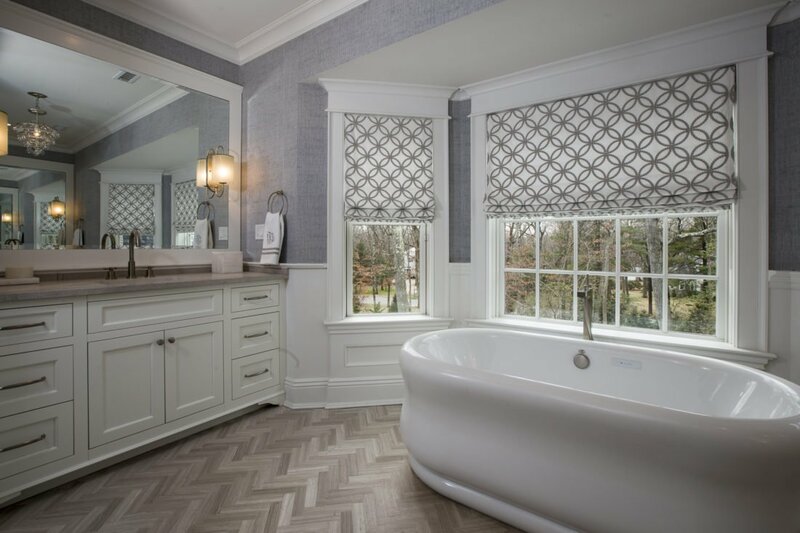 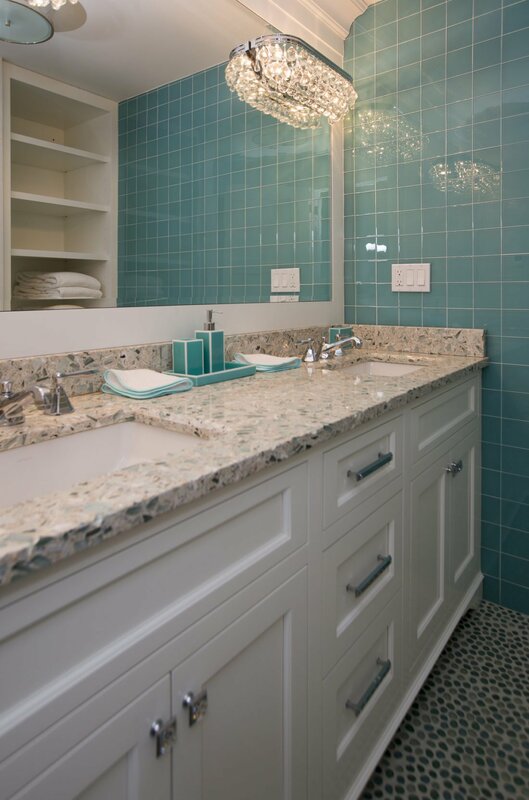 In the master bath, his and hers vanities, spectacular spa like soaking tub and closets galore say it all. 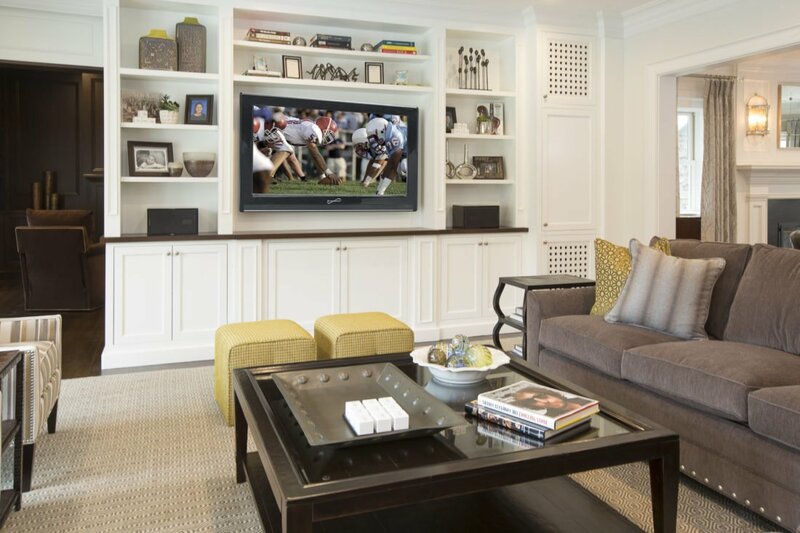 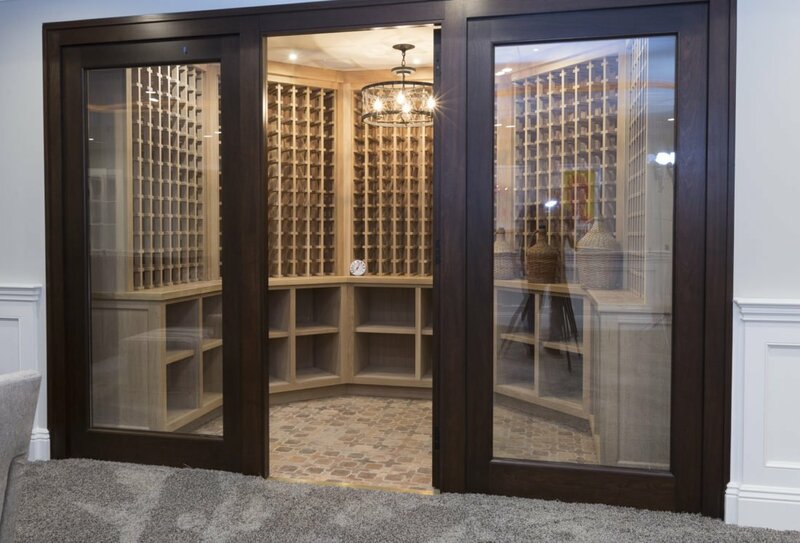 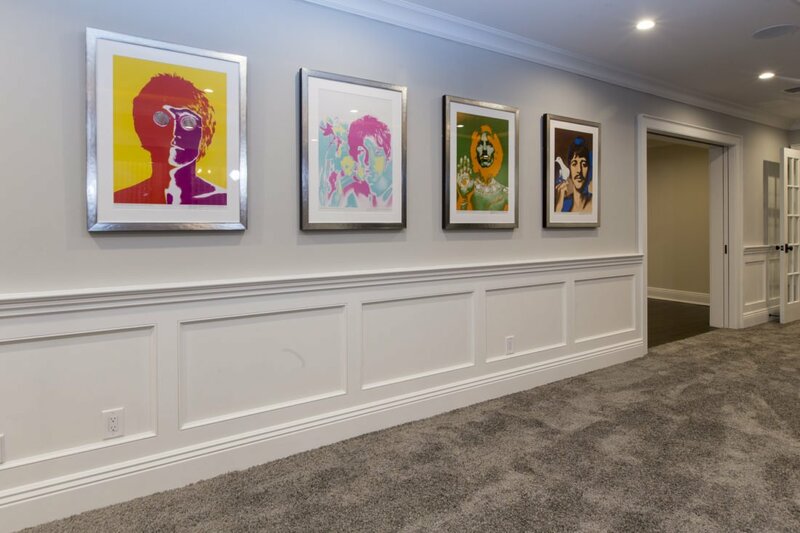 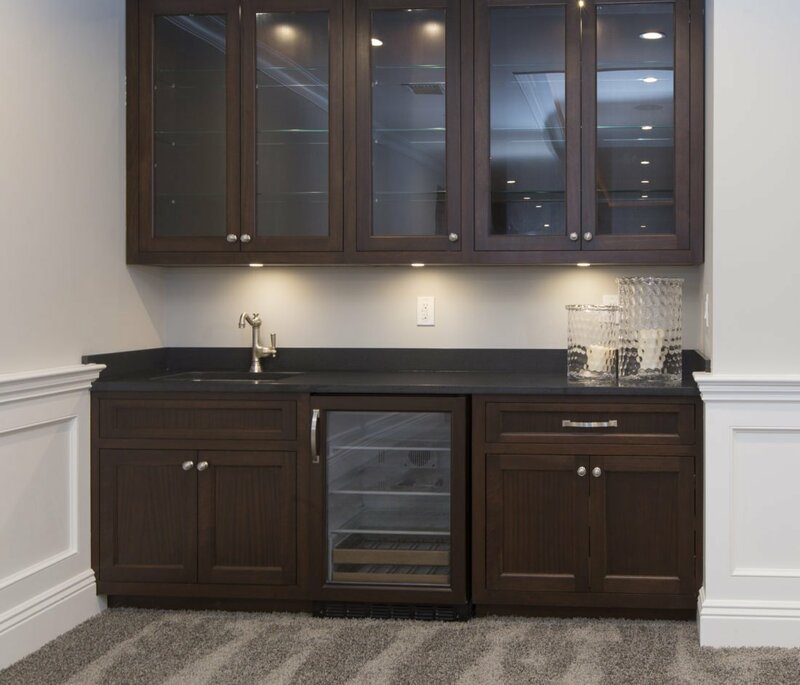 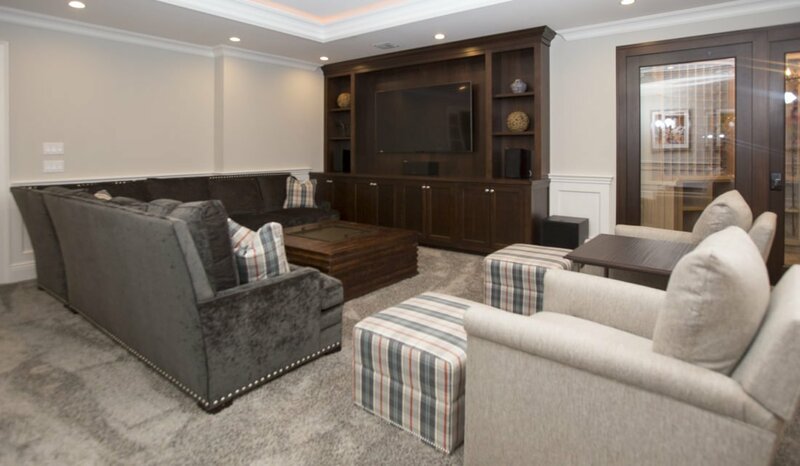 When you need to let it all out … you can head to the basement which is another great living space with a, music room, custom designed wine room, pool table and beautiful sectional for movie watching. 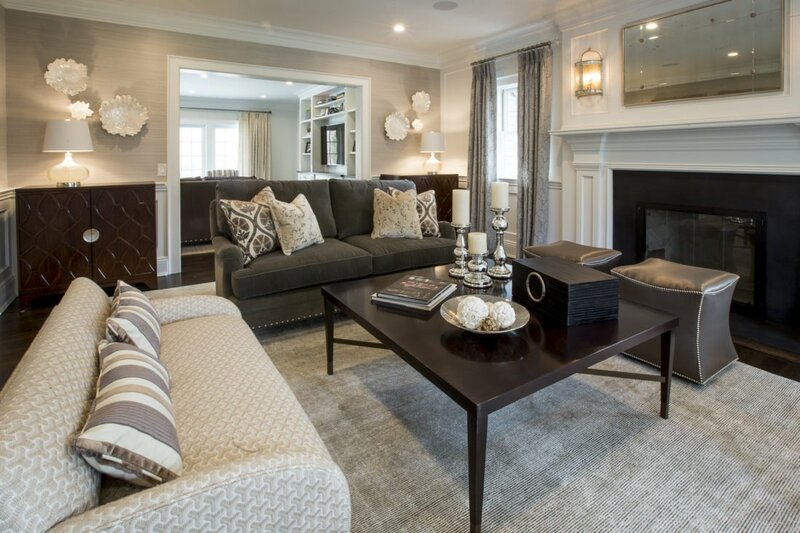 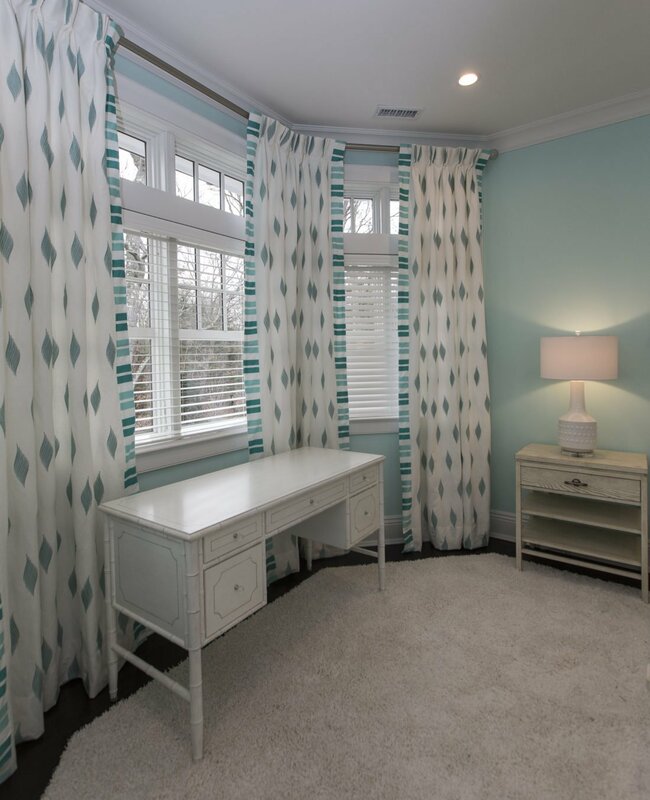 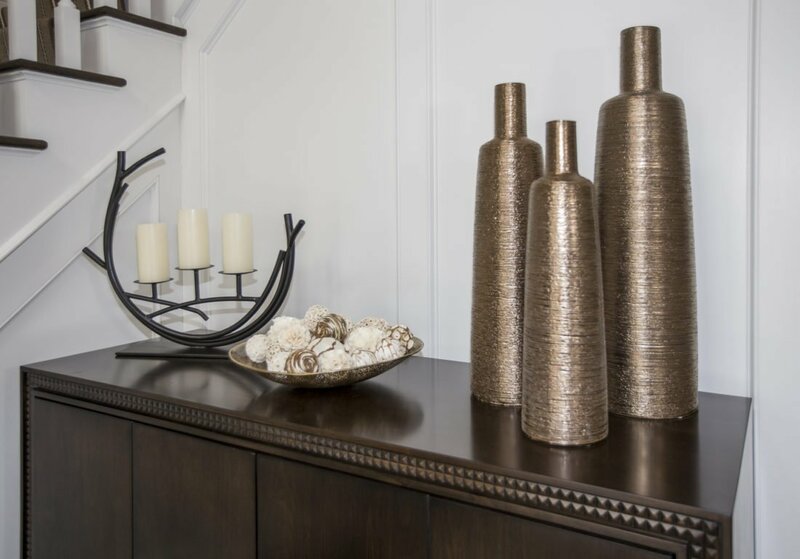 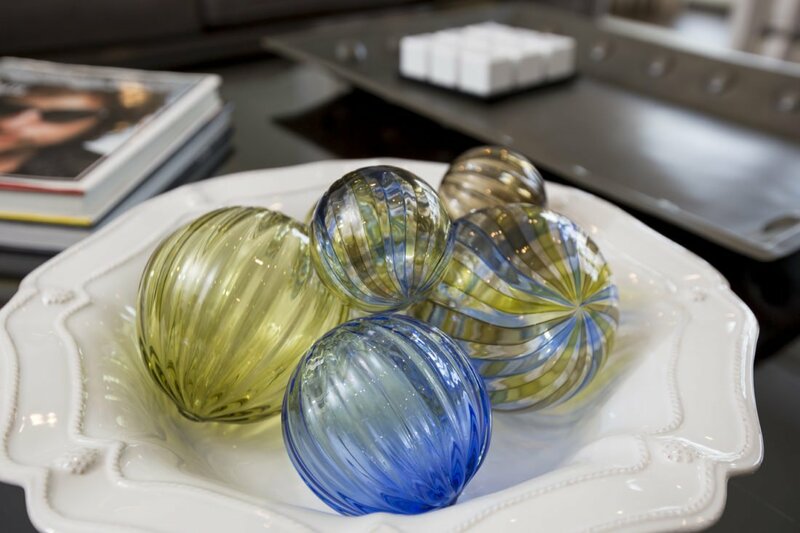 It all adds up to comfort, convenience and years of living in a welcoming, functional luxury home.